Lifetime Family Memories...Lots of Fun! 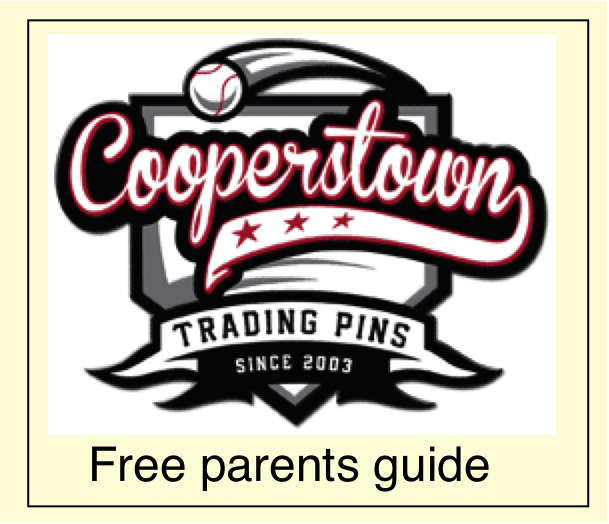 Cooperstown for Kids provides an informative and entertaining way for parents and their children to research and plan together a Cooperstown New York family vacation. 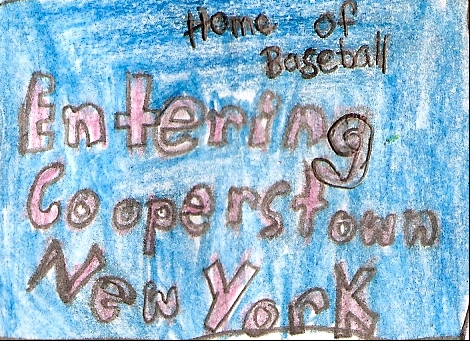 At Cooperstown for Kids, you can find a great variety of travel ideas written by Cooperstown tourists for Cooperstown tourists. When it comes to having the perfect vacation for the entire family, you can really have it all in Cooperstown, NY! 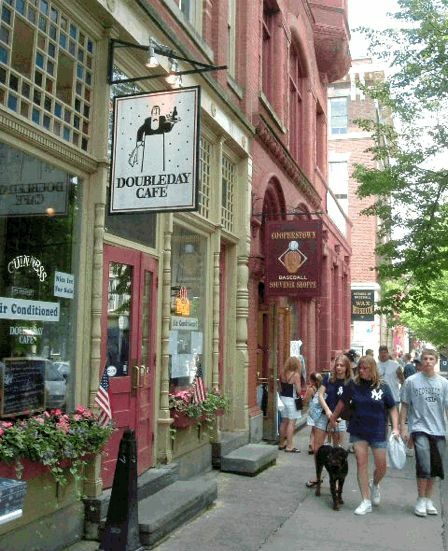 Located in the heart of central New York State's pristine and pure Leatherstocking Country, Cooperstown offers wholesome family attractions, parks for swimming and playing, restaurants for every taste, yummy ice cream and bakeries, and gracious, friendly people to make you feel welcome. Cooperstown is home to the National Baseball Hall of Fame and Museum - truly one of America's great treasures. 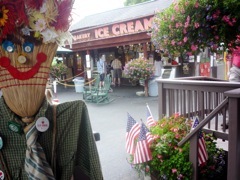 But Cooperstown goes well beyond being just a "baseball town." It is, in fact, a village joyously stuck in time where "Main Street USA," the incredible lake and gentle rolling hills scenery, and a peaceful aura combine with virtually endless things to do. 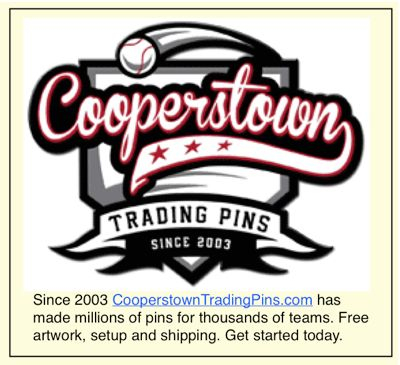 Additionally, Cooperstown for Kids allows parents the opportunity to make Cooperstown hotel reservations at discount rates from every page on this fun site (in the right column). 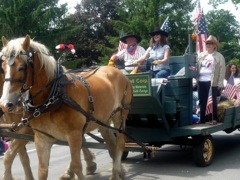 Whether it's a quaint village inn, a lake motel with sandy beach and swimming, or high quality hotel chains near Cooperstown Dreams Park, Cooperstown offers lodging for every family preference! Cooperstown for Kids also features online family travel and baseball videos on most pages, including tours of Cooperstown and the National Baseball Hall of Fame and Museum, as well as fun baseball clips like Abbott and Costello's classic "Who's on First" skit! We even offer an online video pitching machine to test your batting skills. 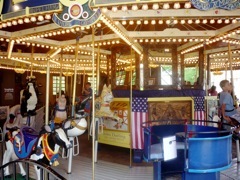 Most importantly, Cooperstown for Kids informs and entertains you on why Cooperstown is so much fun for the entire family and how to make the most of your vacation here. 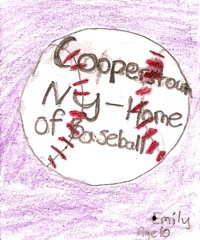 We're delighted you've arrived at Cooperstown for Kids. Have fun at our family-oriented site and have fun planning your Cooperstown family winter, spring, summer or fall vacation! If there was ever a Hall of Fame for museums, the National Baseball Hall of Fame and Museum would be inducted on the first ballot. What makes a museum great resides in its ability to educate and entertain to a wide audience. The National Baseball Hall of Fame and Museum expertly connects with visitors of all ages, making it a special family travel pilgrimage that can be visited over and over again. With an always interesting rotation of modern displays and exhibitions, the Baseball Hall of Fame never fails to tap into our love of baseball's traditional yet timeless appeal. For children, this magical baseball experience includes discovery tours with a scavenger hunt theme, kid-friendly interactvive exhibitions, and various informative and entertaining flipbooks and flip-up panels. The Hall of Fame also features The Sandlot Kids' Clubhouse, a learning center for kids ages two to eight-years-old, where children can find baseball joy in a library filled with baseball books, video clips of Hall of Famers reading children's books and many games and toys. Additionally, the Hall of Fame showcases a colorful movie theater with a baseball stadium theme and lively baseball film footage set to John Fogarty's spirited classic song, "Centerfield." Other personal favorite include the walls of baseball cards and an amazing gift shop with lots of familiar and hard-to-find baseball merchandise, many with the esteemed Baseball Hall of Fame logo. Of course, the Hall of Fame Gallery stands as a special baseball oasis where the plaques of all 278 Hall of Fame members line the solid, stately oak walls. You could literally spend hours here reading all the Hall of Famers' accomplishments on each plaque. 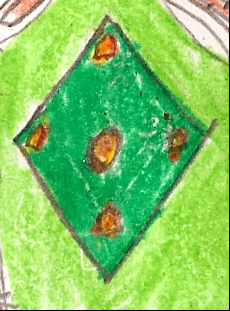 I personally like to focus on a few of my baseball heroes, studying their histories and stats: Carl Yazstremski, Willie Mays, Hank Aaron and Harmon Killebrew are a few names that come to mind. The greatest compliment one can give a bed and breakfast is looking forward to seeing its owners as much as visiting the travel destination. We're talking here, of course, about the Cooperstown Bed and Breakfast. Inkeepers John and Linda Smirk are two of the most down-to-earth B&B owners you will ever meet. They welcome you like a favorite relative to their charming 1902 Victorian home -- in the heart of the Village and walkable to many attractions. A major attraction, the National Baseball Hall of Fame and Museum, remains open in the winter, and is about a 10-minute walk from the Cooperstown Bed and Breakfast. The unforgettable breakfast buffet includes homemade scones, cinnamon buns, waffles, sausage, bacon, cereal, yogurt, fresh fruit and juices. Afternoon and evening refreshments include fresh baked cookies and other baked goods, as well as fruit and cheese! pleasant, comfortable accommodations in a wooded setting with picnic BBQ areas, swimming beach (safe for small children) and free kayaks & canoes is the perfect restful retreat after a busy day at the Hall of Fame or other museums & activities available to you in America's Baseball Town. Our game room & fitness room will keep your mind & body in shape too! Our friendly & professional staff, always onsite, will do everything they can to make your "Cooperstown Lake Vacation" a memorable one. What snowboard is recommended for your child?